If you've been following me on social media, you already know Casco Viejo has become a new travel obsession! We even had a "let's move here" moment - so, there's that. Anyway, pack your bags and get over there. Here are some of the best things to do while visiting Panama's Casco Viejo (locally referred to as Casco Antiguo). During my visit to Casco Viejo, I chose to live somewhat like a local and stay in an apartment. My airbnb stay, directly across from Arco Chato, far exceeded my expectations and allowed me to experience the historical town just steps away from my front door. The Arco Chato Inn is a 2 bedroom loft-style apartment with a common room and kitchen to die for! Rich dark wood gives the space a sophisticated touch, and the ornate decor really made me feel at home - as opposed to a bare apartment trying to make money off of airbnb renters. Darren and Alex really went out of their way to ensure our stay was comfortable and inviting, and it didn't hurt that our second floor balcony wrapped around the apartment with a front and center view of artists, locals, and historical landmarks! To book the apartment or learn more, check out the Airbnb listing here. 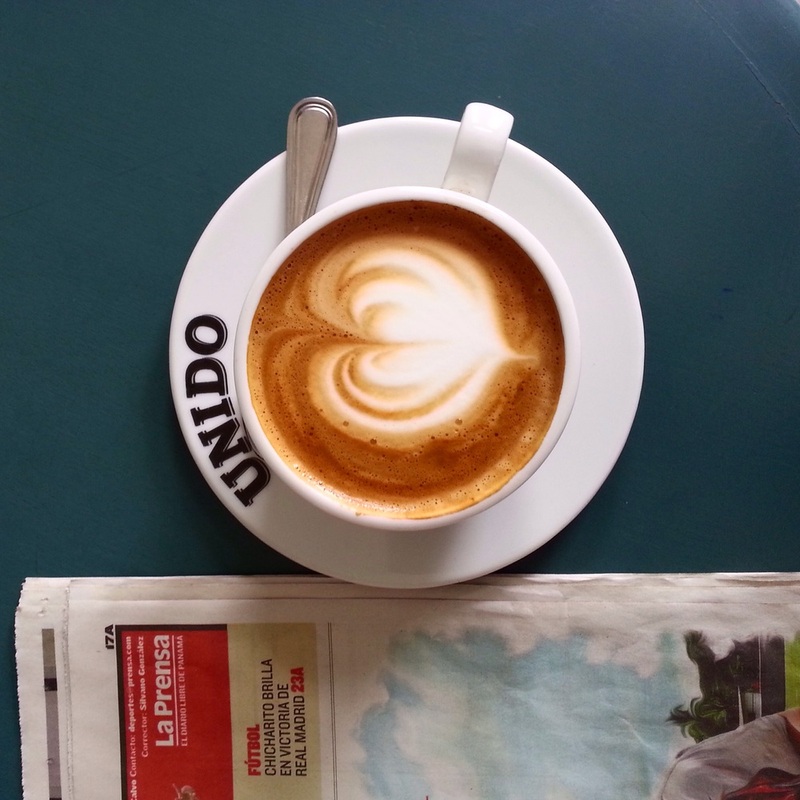 For a quick bite, we spent our mornings grabbing desayuno (breakfast) at the Unido Café, attached to the American Trade Hotel. They have an array of fresh baked goods that they heat upon request. I enjoyed over-sized croissants while Alex drank cappuccinos with thoughtfully designed milk in the shape of a heart. 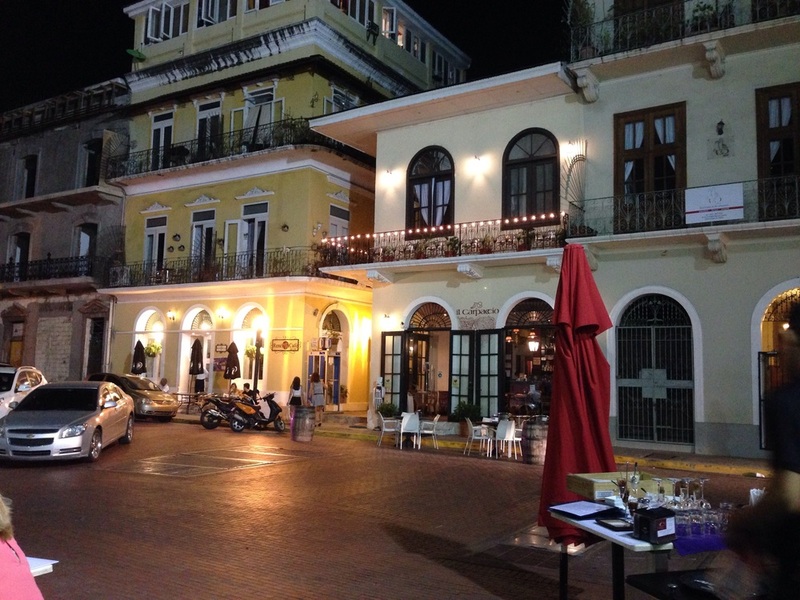 For dinner, we enjoyed an Italian date night outdoors on the Plaza Catedral at Il Carpaccio. With great service, bistro-style seating, and a heavy wine menu, the appetizing food seems to be a lucky add-on. Lastly, don't forget about local restaurants serving comida tipica (standard local meals). On every other block you'll find a hole in the wall with food ten times better than anything you'll find on Trip Advisor! And if you run into an Asian chef running his own Panamanian restaurant, don't be alarmed by his yells or pushiness: the food and $4.00 price book is totally worth it. Finca del Mar swing bar is a must! Not just because I like swings but because they make great drinks with a heavy hand... and also because I like swings. The bar is right next to the waterfront too, so it's a scenic walk there and back. If you are day drinking - no judgement zone - the waterfront market will still be open as well. Tantalo Restaurant + Rooftop should've been on the "where to eat" list, because their food is awesome! But their rooftop bar takes the cake with spectacular night views of the city. Head there for dinner and then go upstairs to the bar. Expect overdressed women, pricier drinks, bumping music, and an all around good time. La Rana Dorada microbrewery is essential for craft beer lovers, as you'll learn there's not much beer to choose from in Latin America. I stopped in once after Alex's 3rd visit. They make great sandwiches to pair with your beer. The Canal Museum is right on the square and the easiest attraction to spot. It is $2.00 to enter and costs $4.00 to receive an English audio tour. The Arco Chato and Iglesia Santo Domingo, just a few blocks away (and directly across from the airbnb I stayed at) have artists painting during the day and friendly locals in traditional clothing waiting for a photo op or to give you directions. Step outside of the quaint town and walk along the water towards downtown Panama City via La Cinta Costera. You'll come across women selling frozen ices, playgrounds, fish markets, and a running/bike lane. And if you don't have much time to see everything outside of Casco Viejo, don't be ashamed: I took the leap and did it too. Yes, I went on my first City Sightseeing Bus and it was AWESOME. Minus the touristy-ness, the $30 all-day hop-on hop-off bus was key in helping us see the far away attractions! We visited parts of Panama City we hadn't heard of, toured the Panama Canal Miraflores Locks (a must-see), Flamenco Island, Frank Gehry's Biomuseo, and more. I will never mock those buses again.